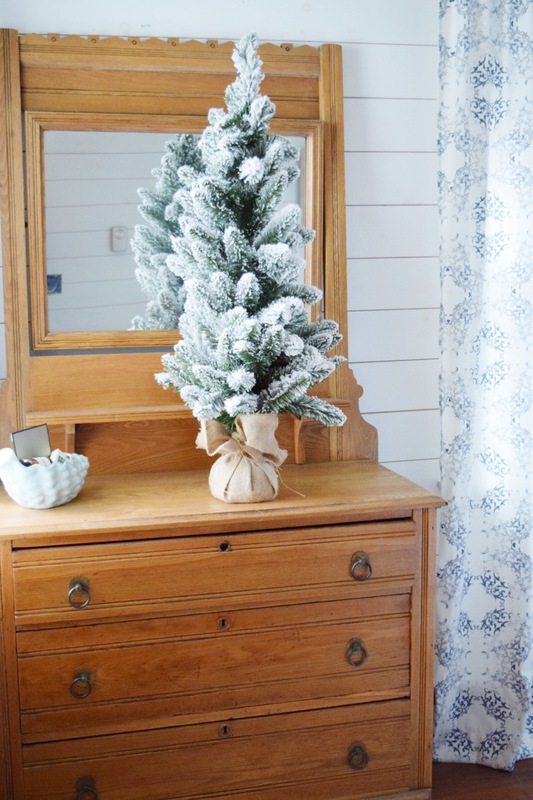 Today I am going to share 2 tips on how to add simple Christmas touches to your bedroom & I am also going to share with you something I like to do to make my overnight guests feel welcome and at home! Katrin lives in Spain. Today, you will also visit Sam’s blog. I used to host a blog party with her. She taught me a lot about blogging. Sam lives in Australia! Isn’t the internet so cool? If you told me a few years ago that I would meet, online only, and become friends with bloggers around the world, I would have not believed that either. At the end of my post, you can visit their beautiful home tours too! 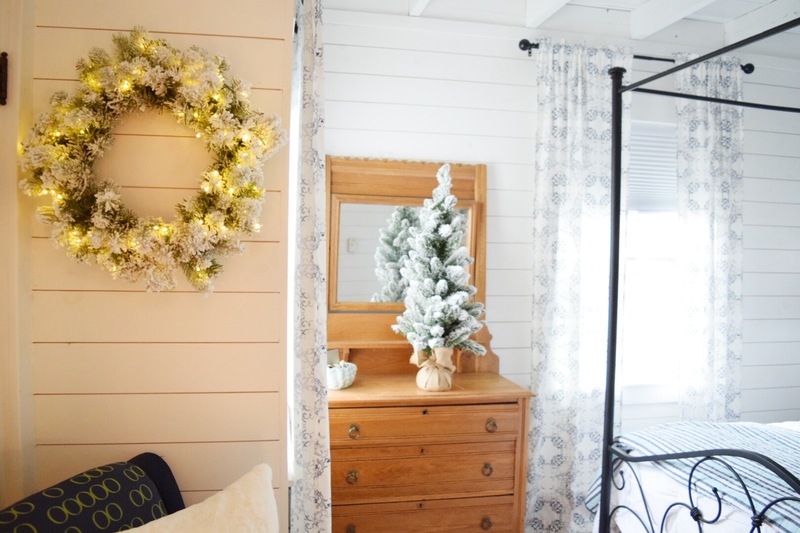 Take down one piece of artwork and replace it with a wreath. No need to even move the nail, just hang the wreath exactly where the picture was. 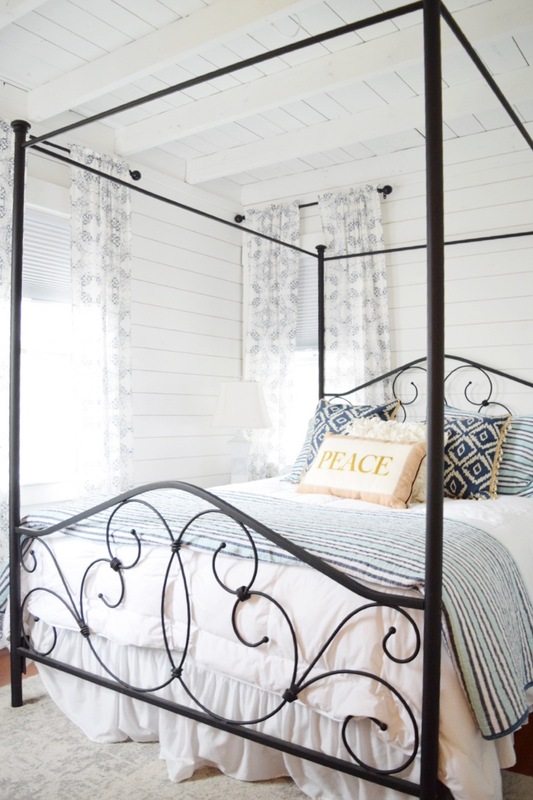 Add Christmas Throw Pillows and, or, a Holiday throw blanket! That’s really all you need to do, nothing fussy. 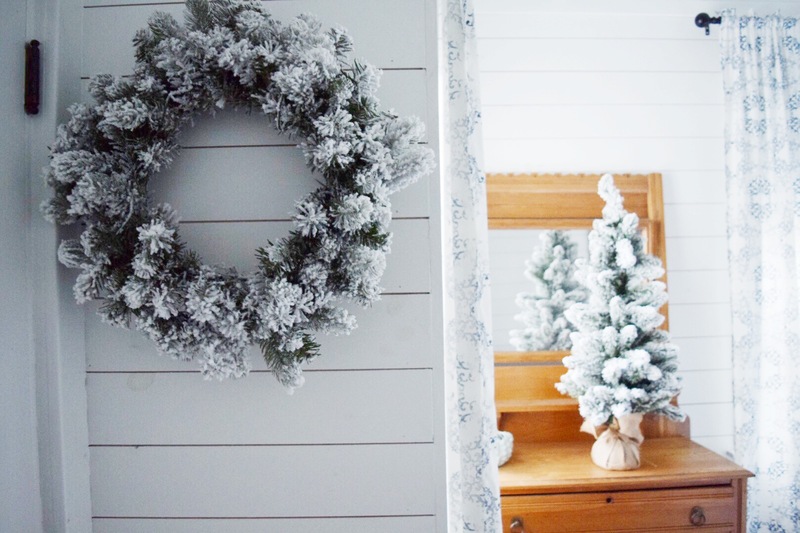 The flocked wreath and the 3 ft flocked Christmas Tree are both from King of Christmas. This wreath has battery operated lighting. It adds such a cozy touch to the room. Would you believe I got this pillow from Michael’s at the end of the season last year for only $4.99! If you have been following me you know that I have shared that my #1 tip for acquiring seasonal decor is to shop at the end of the season! shower cap, etc. You get the idea. 2. 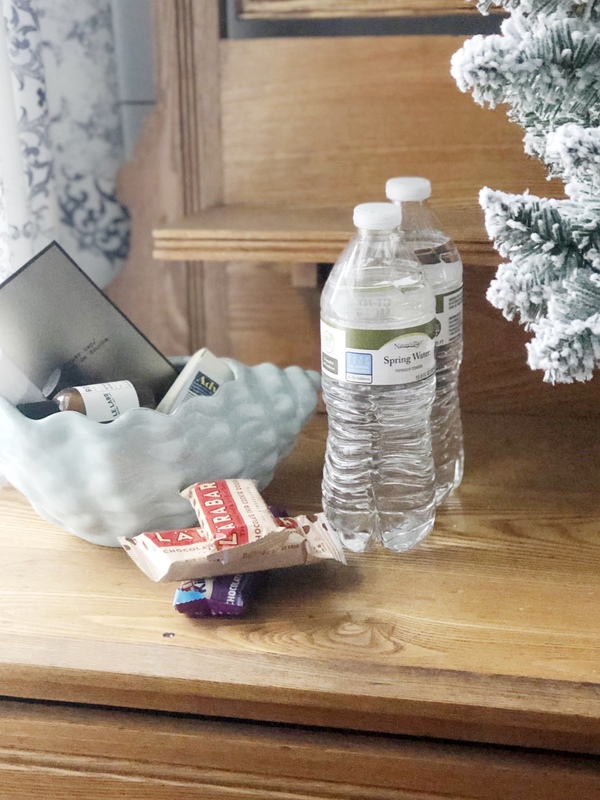 I like to add a welcome note as well as some snacks and water bottles. 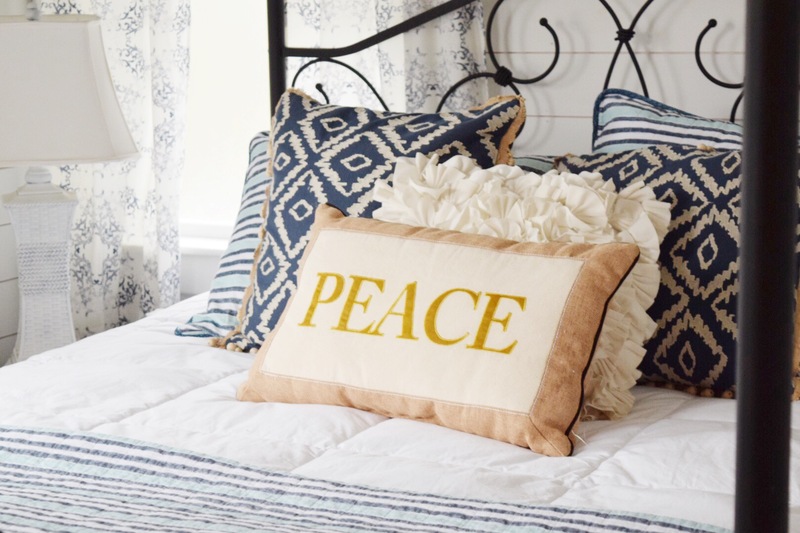 These fun touches make my guests feel especially welcome. 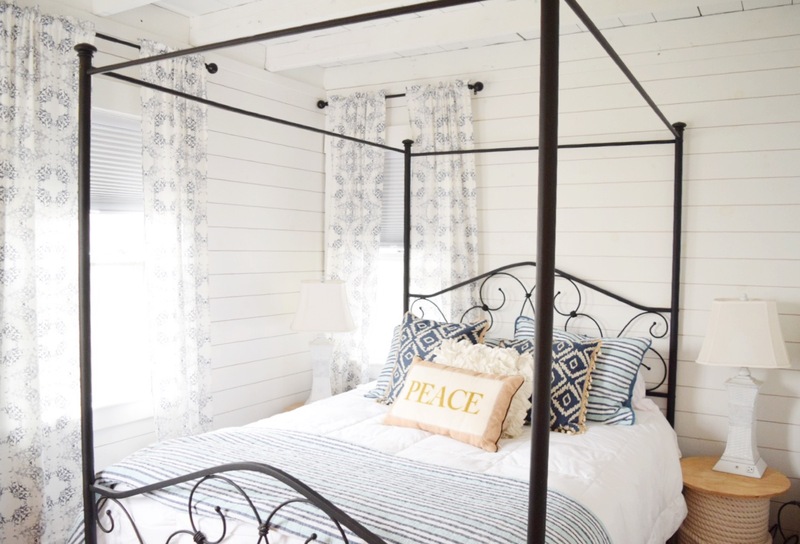 I hope you enjoyed my guest room at the beach house for Christmas today & that you have fun visiting my friend’s blogs below for even more holiday ideas! 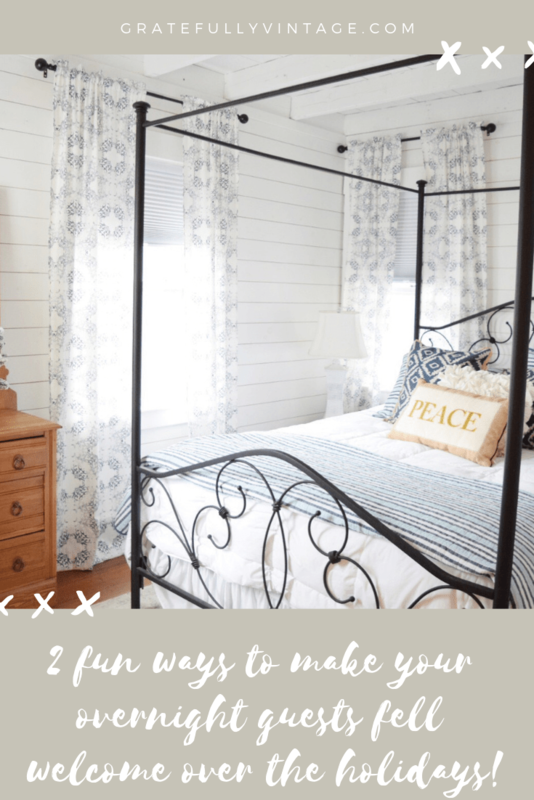 & Just for you, here is a Pin for you to save this post for when you want to remember fun ways to make your overnight guests feel welcome! 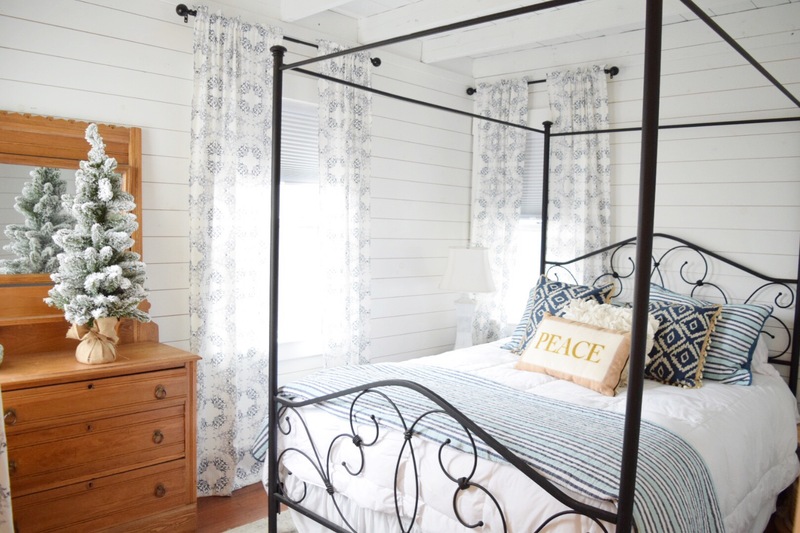 Your guestroom looks so cozy and inviting for the Holidays, Kellie! Kellie, your guest bedroom is so pretty and welcoming. Also, these are all good tips! End of season sales are usually when I get my best deals!